Pair up students. 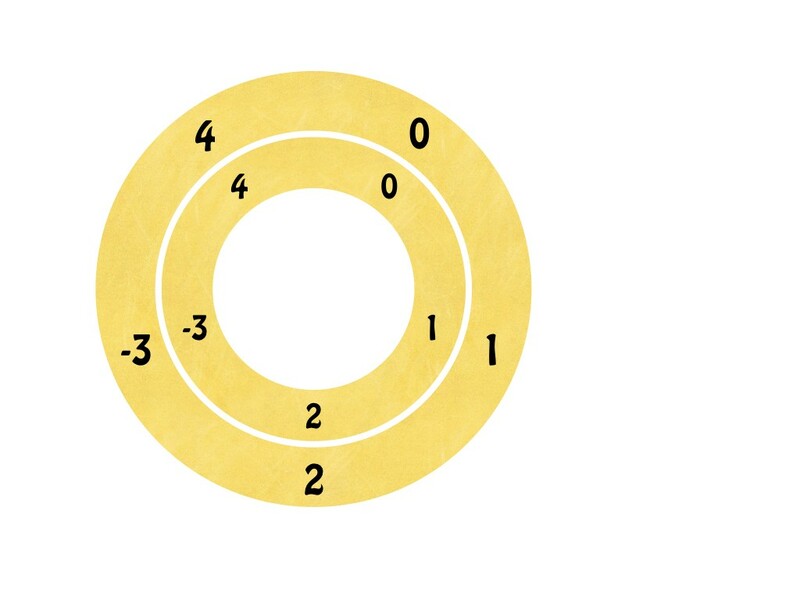 Each student writes 0 to 4 in a ring and then secretly assigns + and – to each. Later on they can challenge each other with 0 to 5 rings or even larger. 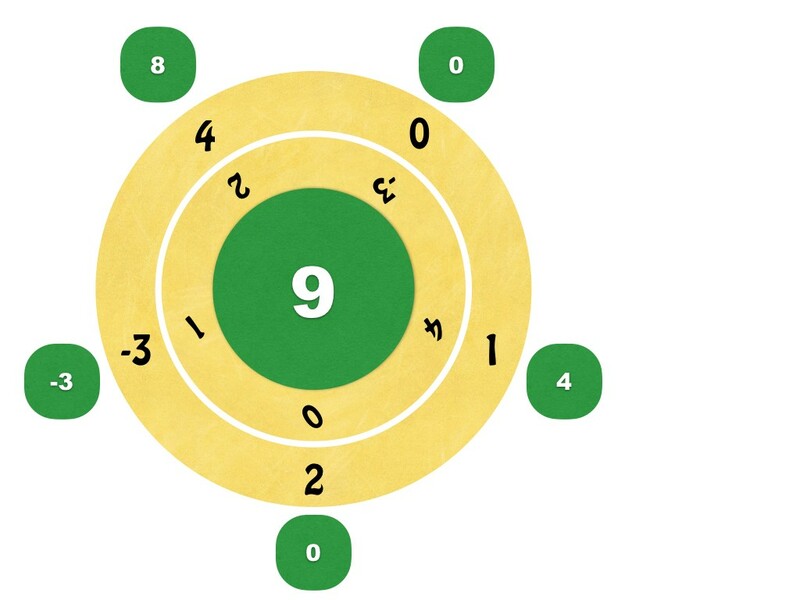 Each partner duplicates their ring – possibly rotating it so the zeros are not lined up. So let’s say I’m playing against you. I make only the three negative: 0, +1, +2, -3, +4. I add these. 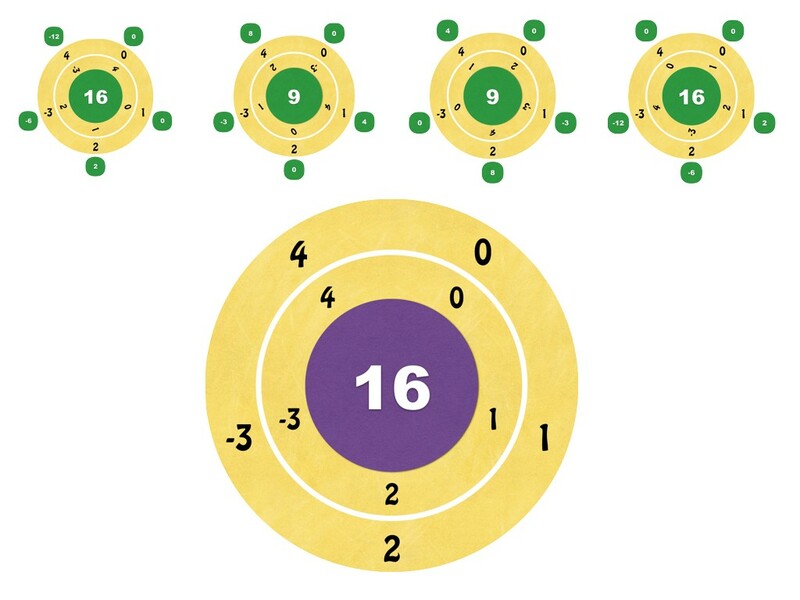 The result is -16. So I get a score of 16 (the absolute value of -16). Whoever gets the lowest score wins. Did I make a wise choice by rotating one notch clockwise? Adding these up gives 9. I would have gotten a score of 9. Lower scores are better. Here are all the results I could have obtained. 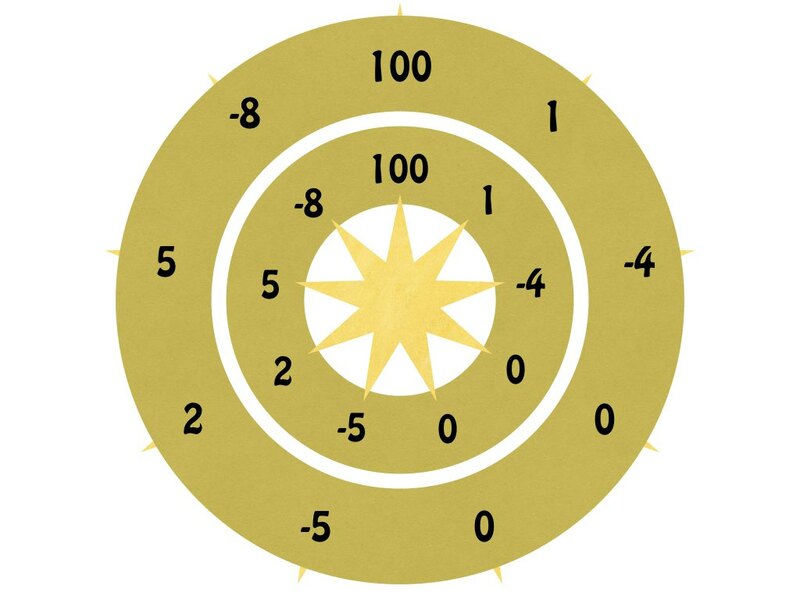 Some of your students will understand the symmetry or rotating clockwise and counterclockwise. Anyway – I got a score of 16. Let’s see how you did. You chose to make a ring: 0, -1, -2, -3, +4. How far did you want to turn it? …but you could have beaten me by more by just rotating it by one notch. 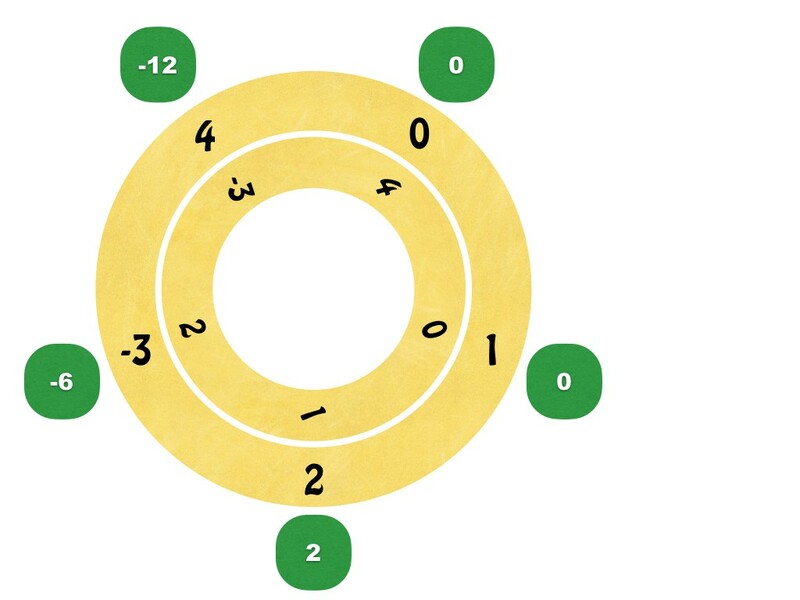 Students should be given one minute to create their rings and another one minute to rotate them. 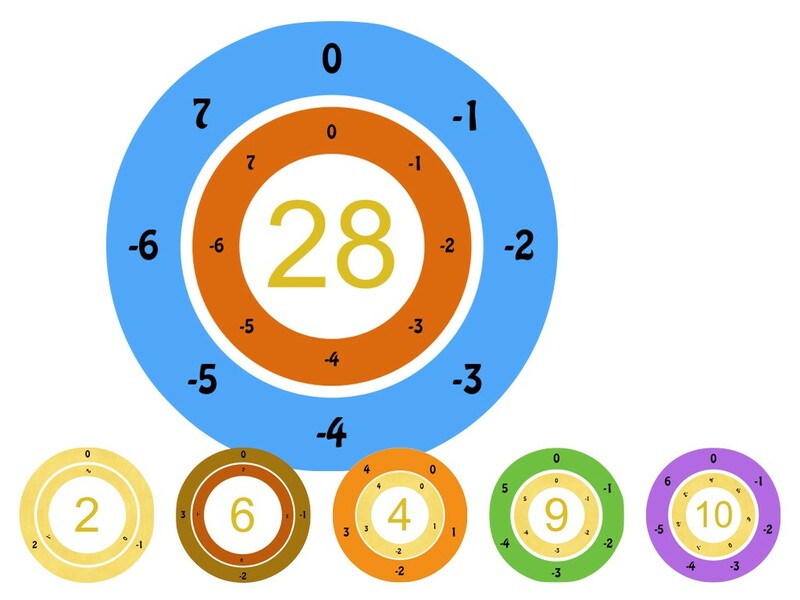 Students may need different amounts of time to do the multiplication. Another idea: The class chooses an ordered set of positive integers – Each pair writes them down in that order with negative signs in front of any number of the integers. 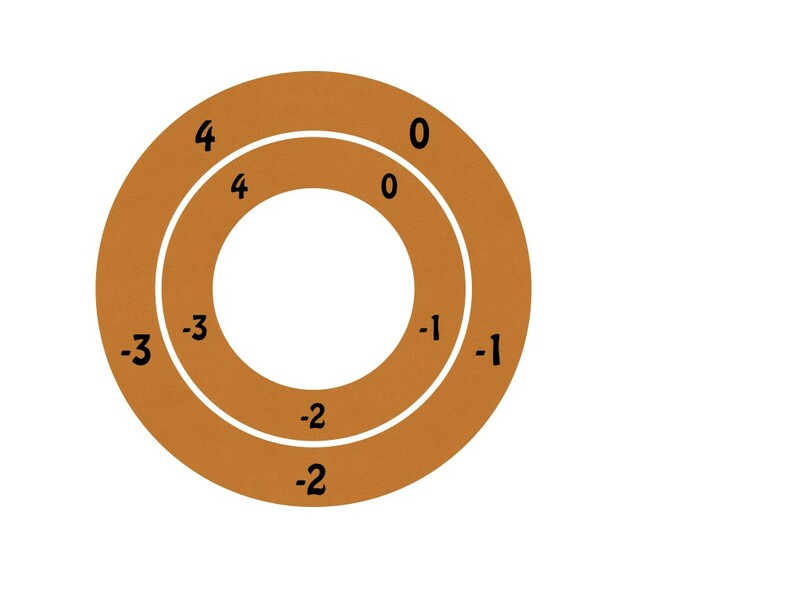 The inner ring is identical, but can be rotated. The winner is the group that finds the minimum sum. 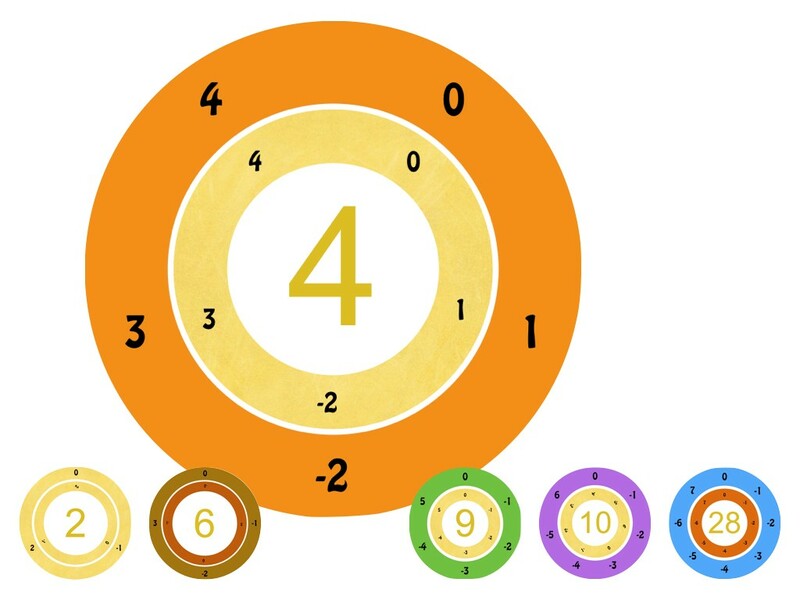 This group challenge is for students learning about the multiplication of integers. 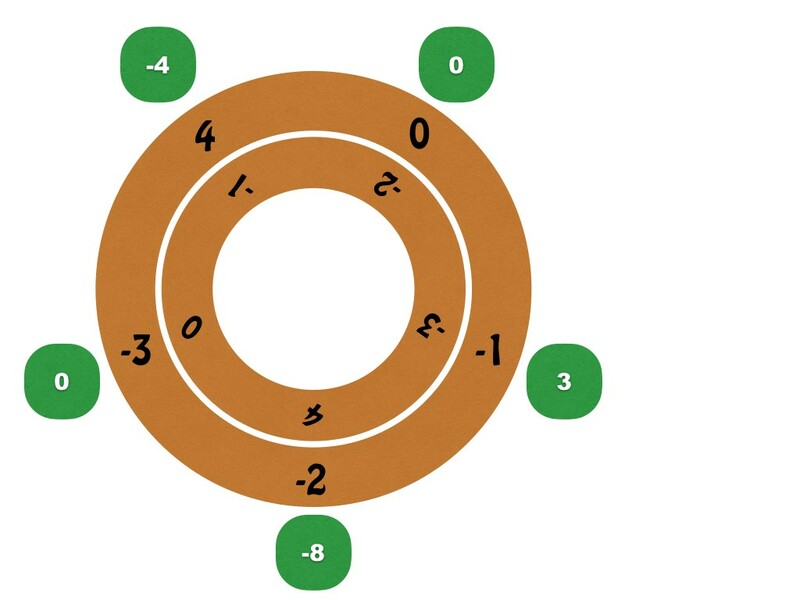 Groups or individuals compete against each other to try to optimally score by rotating integral rings. Here is a pdf of some puzzle sheets. 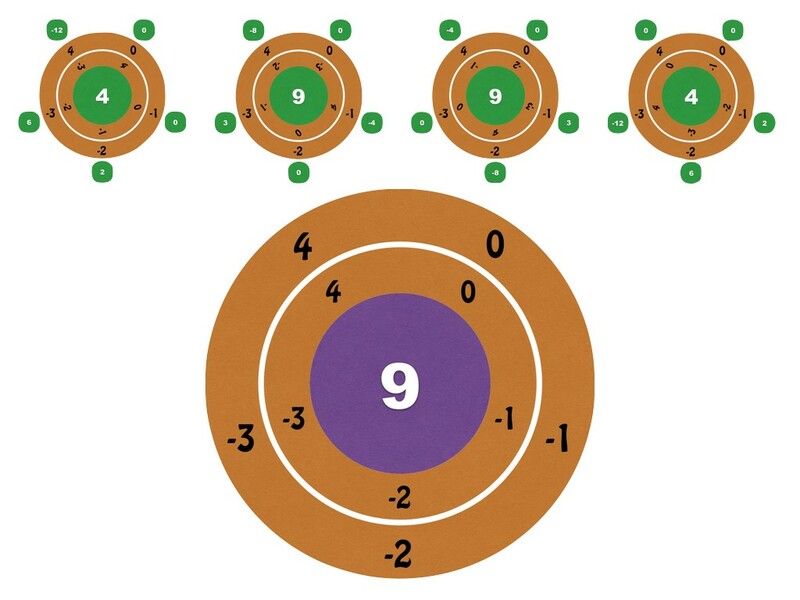 Mathematicians will be more interested in the first Centrifuge puzzle that uses only 1s and -1s.